For Indigeny Reserve, handling naming, identity, brand strategy, branding, content, packaging design and design extensions, TTB, CCOF and packaging production management for Essent craft alcoholic beverage company and distribution strategy. Paradise distilled. 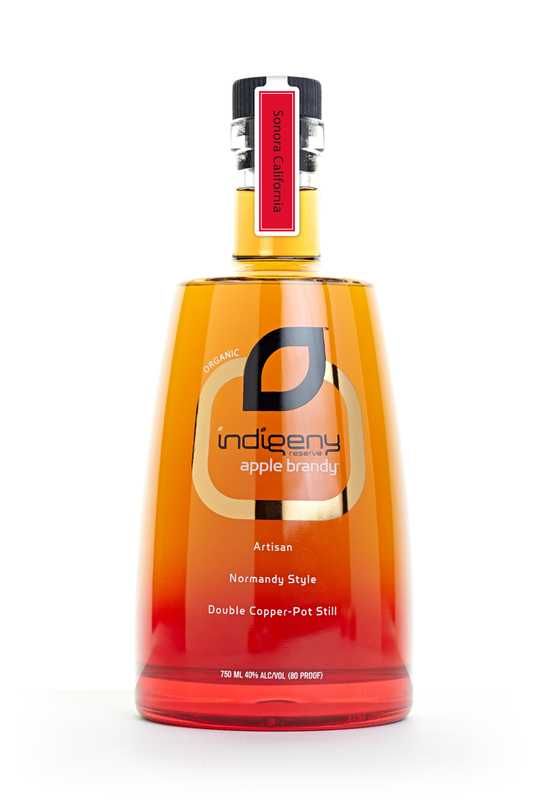 Indigeny Reserve’s™ estate-crafted apple brandy is 100% organic and sustainable. The equilibrium between liquid and vapor creates magic, using 18-foot-high, 19-plate double copper-pot stills and an oak barrel-aging chamber. Produced in small batches. Sonora, California.